Jerry's "ASH CASH" Locker Membership & Savings! Wanna Save Money & Have a Place to Store Your Cigars? 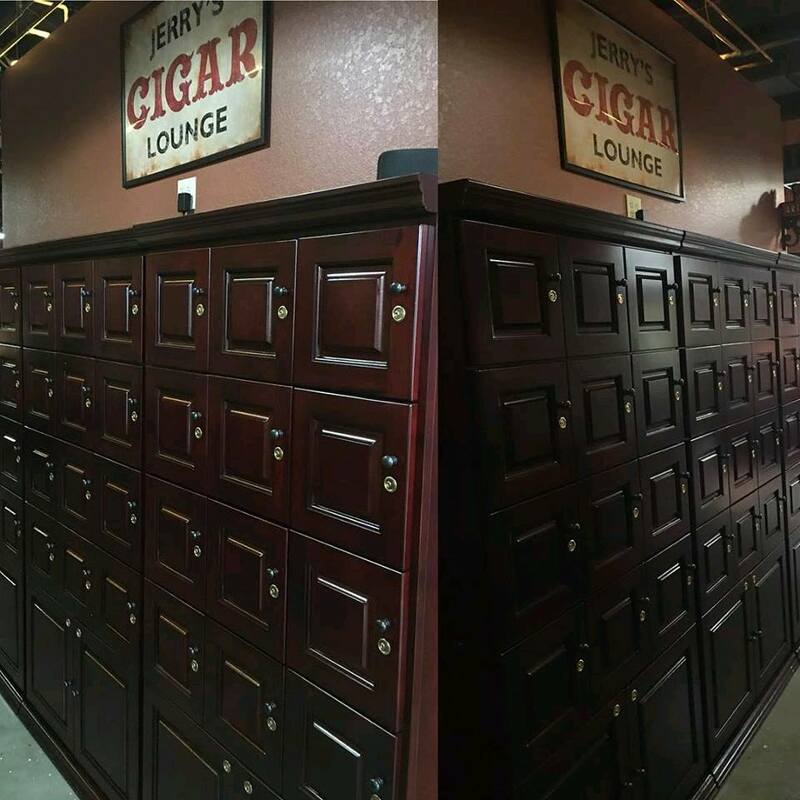 We’ve got you covered with our 24/7 climate controlled, humidified cigar lockers. Our locker leases are available for only $29.95 per month & EVERY MONTH WE GIVE YOU BACK $15 IN JERRY'S BUCKS REWARD CARDS...so the lockers essentially only cost you $14.95/mo...(a ridiculously low 50cts per day). Locker members save 10% off any store purchases all year round (single cigars, beverages, accessories, etc...) and 20+% off on full box purchases. By combining locker discounts with our generous volume based reward discounts, locker members save an average of 30+% off full box purchases. Locker members also receive other freebies as well as the first chance to buy limited edition cigars such as Opus X, Diamond Crown Black Diamond, LFD Andalusian Bulls, Padron limited releases & other hard to come by cigars. We will also be hosting events exclusively for locker members that will give them a chance to meet & greet some of the big players in the cigar industry. The discounts & rewards that come with locker membership pay for the locker lease multiple times over. If you own your own business the locker lease may be tax deductible as a dues membership...check with your accountant. You can contact us at 850-385-9669 (Original Sharer Rd location) or at 850-894-3696 (New Kerry Forest Pkwy location) or stop by to check out the locker deals for yourself and ask one of our knowledgeable cigar experts for more information.